Companies can and do manufacture in India. We do that. But, for many companies even with import duty it is often cheap to get it from outside. Let me give you a simple example why it is hard to manufacture in India. My company is applying to the world’s largest product show — CES. It is the pinnacle of electronics and other tech manufacturing. 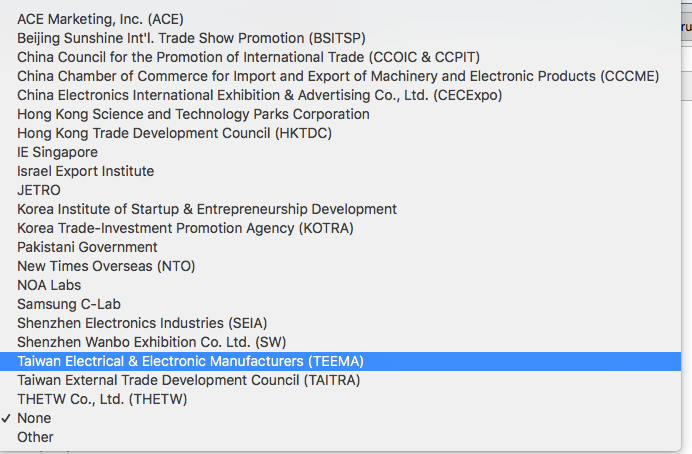 Below are the groups that sponsor and support startups to the event. About 8 related to the Chinese government and about 5 related to Korea and Taiwan governments. Even Pakistan supports and sends startups [both to this event and many other events in Silicon Valley]. Can you see Indian government anywhere? This is the level of apathy that manufacturing enjoys in India. Startups like ours have to pay for ourselves and create our own support system, while our competitors in other countries get far better advantage. Just one of a million examples to showcase the problem. Absence of government incentives: Despite all talk of Make in India, Startup India, Digital India etc nothing comes to manufacturing startups like ours. A local government in China gave us a package with 2% interest rate and 3 year free manufacturing space. Malaysia and many other governments provide such incentives too, bringing down the costs drastically. Our government - state, central, municipal - does ZERO. Not always ZERO though, sometimes negative. Terrible infrastructure: Moving products around India takes weeks. Moving things around China is a 2–3 day job. We get frequent powercuts in Bangalore, often bringing down production. China has no concept of powercuts these days. They can move people and goods much easier, cheaper and faster. Ridiculous and haphazard pricing: Karnataka just increased water tariffs for industries by 100% - 100 per cent hike in water tariff for industrial use draws flak. There is no point in just say “Make in India” without substance. For those of us who are making in India, what incentives do we get? If we don’t get incentives, how can we compete with companies in other countries who can price lower due to advantages they get from their government? Almost every developed country became developed by mastering manufacturing. You cannot employ the hundreds of millions by software services. However, the public is clueless about the importance of manufacturing and that cluelessness goes all the way to the top in governments.